While TV news channels have aired a video and picture of what is believed to be Libyan leader Moammar Khadafy&apos;s dead body, another graphic video (below) has surfaced appearing to show him being captured before his death, alive, but wounded. The Washington Post and other outlets posted this video of a man who appeared to be Khadafy being dragged off by rebels, suggesting he was killed sometime after they took him into custody. 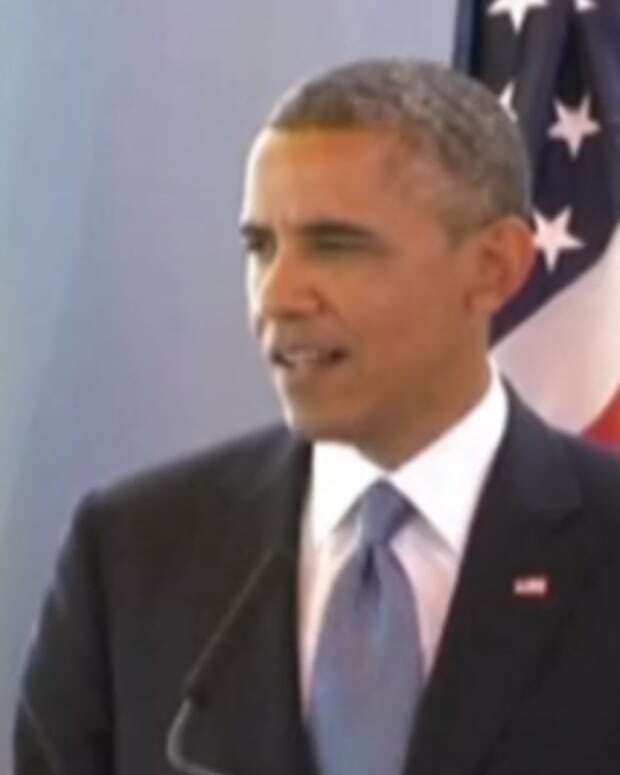 Khadafy appears to be the person in both the capture and corpse videos, and the man or men in both videos seem to be wearing the same clothes. 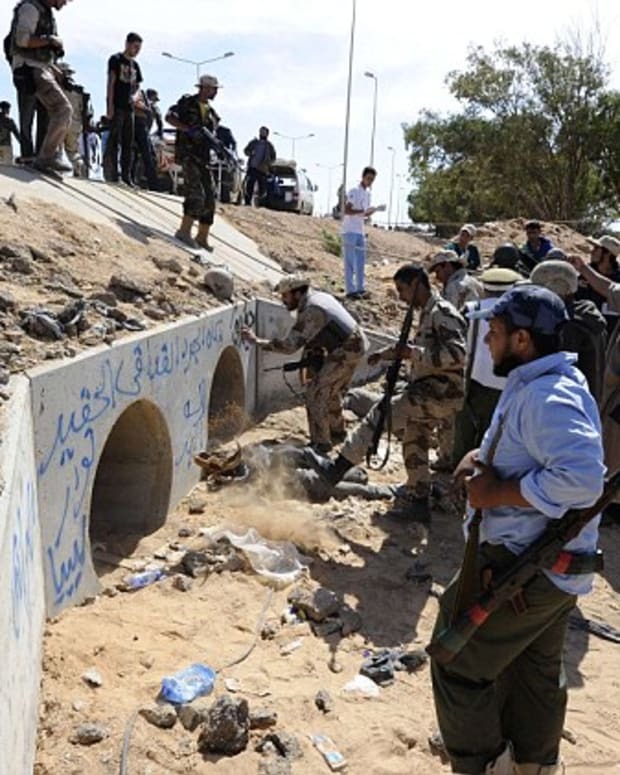 Libya&apos;s interim leaders told Reuters that Khadafy died of wounds suffered on Thursday as rebels overran his hometown of Sirte. 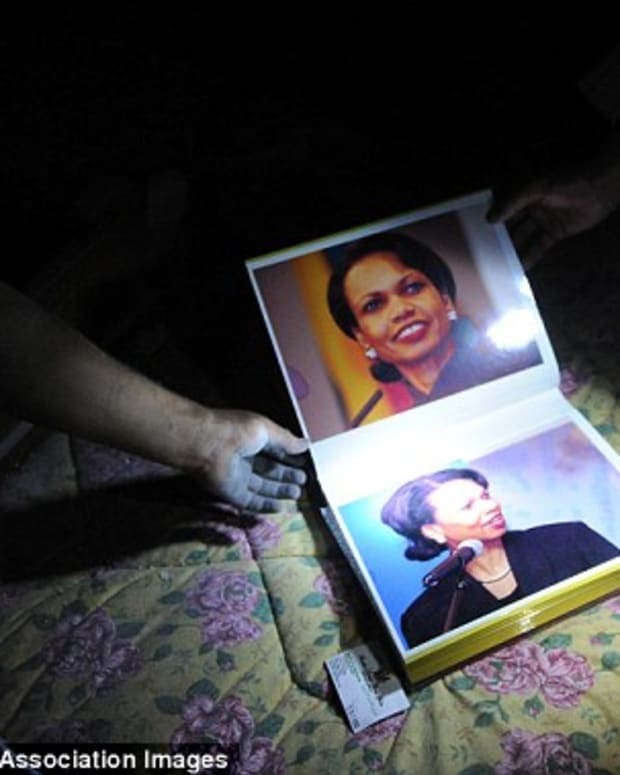 Obama: "Khadafy's Rule is Over"
Photo Album Found: Did Khadafy have Crush on Condoleezza Rice?